•	Swap between Cellular and WiFi data counts. •	Turn on or off your cellular data and WiFi and more. •	Graphical display of your monthly usage with the option to see previous month’s usage. •	List of all of the apps that have connected to the internet on your device. 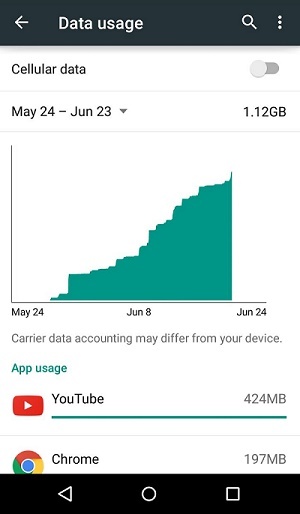 How often it happens that we are doing nothing much but our device battery gets drained and sometimes we lose so much of MBs from our net pack, with the culprit being background data being running without your knowledge. If this is troubling you a lot, you can also turn off all background data. Just go to Settings -> Data Usage, tap on the menu button in the top right corner, and then tap Restrict background data. You also have option to completely turn off cellular data. This is a little bit less restrictive than turning on Airplane mode. Google enables the setting scanning always available by default because it enhances your user experience. While this is true, it also allows apps to eat up WiFi and battery, even when WiFi is turned off. Although turning this setting off may not save you much of data, it definitely saves some drainage of your device battery! To turn this setting off, go to Settings->Wifi-> Menu-> Advanced-> Turn off notifications for public access points and WiFi usage while the device is sleeping and more. 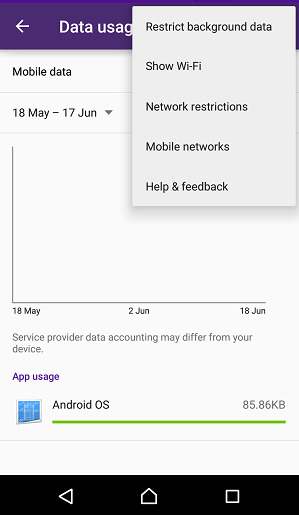 Although most of the Android device have auto Sync option, there are also device that provide controllable sync settings from within Android settings. For this, just go to Settings-> Accounts-> you see now what apps and services have sync controls. 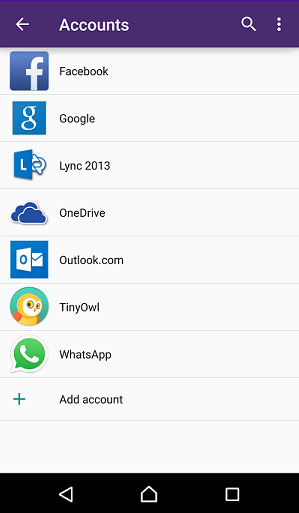 Don’t forget to check these and other apps for sync settings within app as well. Apps and services that you use frequently, or enjoy receiving notifications from, will need to stay turned on. There are so many such simple yet efficient features present within our devices that we tent to skip in our fast moving world which might prove to be handy! So next time you read about such features make sure you pay some attention to it! You might save some MBs there!